I am so pleased to welcome Lisa Cach today to Great Thoughts’ Great Authors. Her new book, Great- Aunt Sophia’s Lessons for Bombshells came out in June- a must-read! The end result was a journey that, to my great shock, I enjoyed. You can follow along on our adventure here. How much planning to do? At least some. It’s surprisingly difficult to research an area while on the road: by the time you’ve read about it and decided where to go, you’re already past it. Or it’s too late in the day, or you’re too tired by the time you get there, or there’s no wireless connection. So have at least a bare skeleton of the trip planned out, knowing where you’ll likely be sleeping each night, and a few of the things you want to see. If all else fails, look for a Mexican restaurant in a strip mall, or a taco truck; it’ll be better than chain restaurant fast food. Our recommendation for an audio book? Shatner Rules! Especially if one of you has a birthday coming up, as he talks about the terror or turning 80. 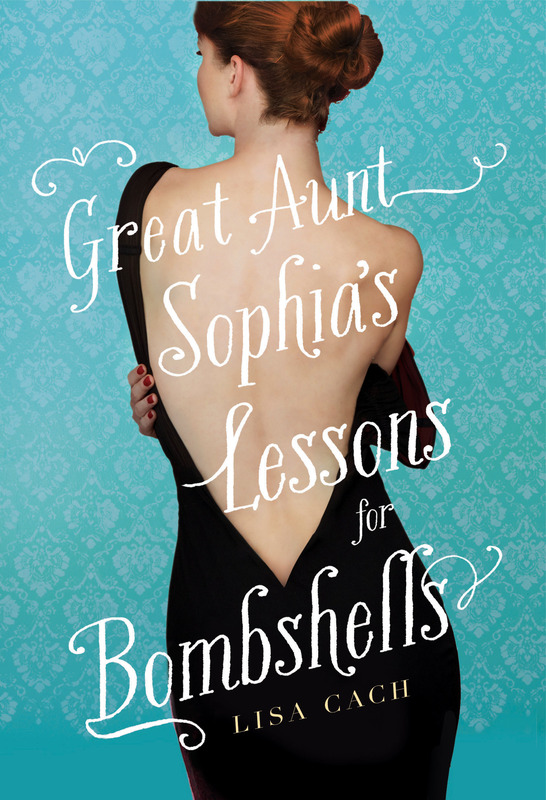 Lisa’s latest novel, Great-Aunt Sophia’s Lessons for Bombshells, from Simon & Schuster.